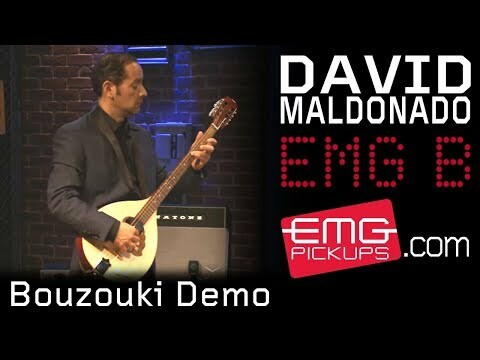 EMG is world leader in pickups for the Bouzouki, a Greek 8-stringed acoustic instrument. The B pickup features our FT (front Tele) pickup with an added bracket and battery mount, making it easy to attach to a bouzouki (or any other instrument which is similar in size). EMG's exclusive Quik-Connect™ cable and output jack. I'm Gragonith and i play for the band Somnus and I have the project En-Stigma. Igenerally play metal genres and i've used and will use bouzouki on my recordings and concerts. I've been using the emg-b for about a year now and it came through to everything i've tried even heavy distorted sound. I've been using it on a custom made instrument and though it made my sound a little bit raunchier it continues to keep the sweetness of the instrument and that's what I like the most. That's why for me it's a 5/5.